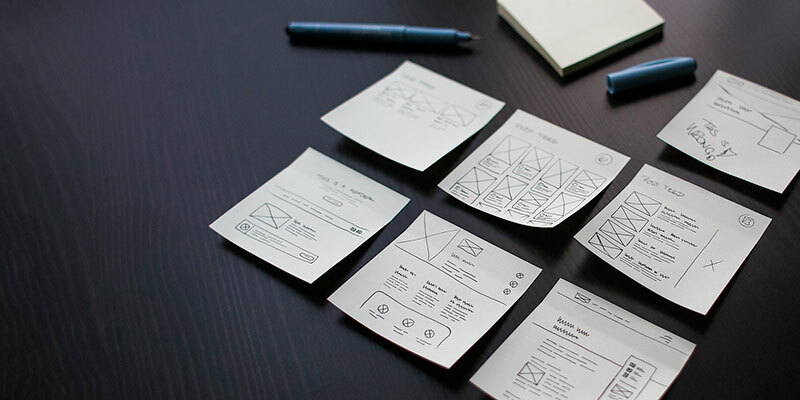 It doesn’t matter if you are an owner of small portfolio website or a large ecommerce one, you should take into account the UX principles of usability from the moment you start planning your online presence. Even if you already have created your website, there are certain UX principles you must follow to offer better experience for your visitors. People can’t keep a lot information in their short-term memory. In fact, they can remember up to 7 items. Due to cognitive limitations, you should stick to a few simple rules to make sure your visitors don’t experience cognitive overload. Consistency, minimalistic approach and status visibility are some of the established UX principles that will help you achieve better website usability. In this article, I will try to outline the UX guidelines that are proven to create a smooth experience for the users while browsing for information, searching for a service or buying a product. For the users, it is quite important to maintain the same terminology, graphics and icons, and styles across all web pages even when the website uses different templates. To achieve usability, it is better to focus on recognition rather than on recall. Users respond better when they quickly recognize already established elements and artefacts. On the other hand, if you force them to remember elements from previous pages or introduce new ones for already established categories, labels or CTAs, you will definitely cause cognitive overload. Apple's website is one of the perfect examples for consistency and standards principle. The navigation is consistent across different pages. The product titles are enhanced with icons for quick recognition. Clutter is something that users don’t forgive. It confuses them. It is very important to make the users find their way quickly. Your web pages should include only the necessary information. Focus on your goal, make content serve this goal so the user can take an action which will result in a lead. 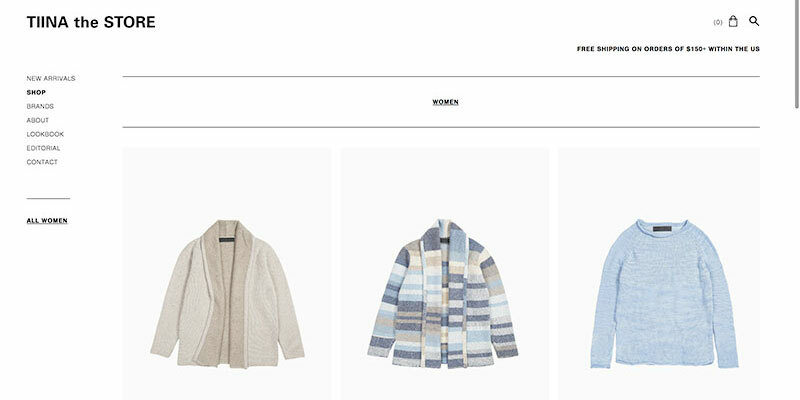 Tina in the store is a great instance of an e-commerce website which focuses on smooth UX by using minimalist approach. The clean layout across the different pages allows the users to focus on content e.g. products. The B&W colour palette makes the items stand out. When speaking about usability and adequate user experience, it is crucial for the users to receive appropriate feedback from the system. For example, highlight in a suitable way the page that the users are landing, whether it is a top category in the main navigation or a clearly marked page in the breadcrumbs. The lack of proper wayfinding again confuses the users and forces them to recall information when instead they can recognize it right away. 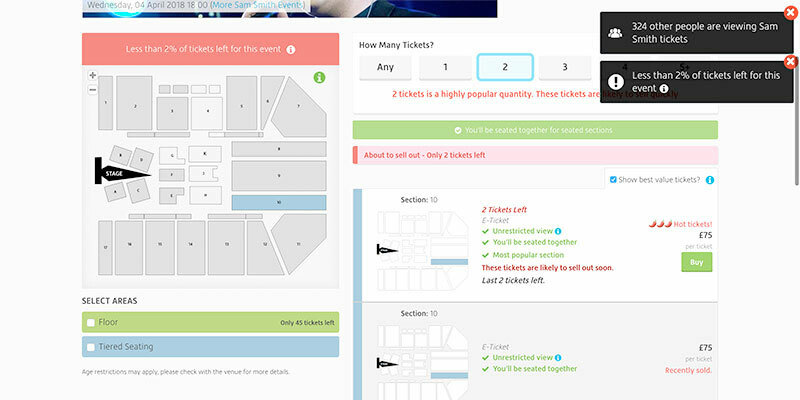 Viagogo use the UX principle of visibility of status very well in their ticket selection. On the top right corner you can see how many people are interested in the event as well as the percentage of tickets left. When the user selects a ticket, on the left side is snown where the seat is located. Not only all these statuses urge the users to purchase their tickets but also give them immediate feedback of what is going on in the system. A certain thing that users hate on the web is to make errors. Errors annoy them to such an extent that can leave the website and never return again. That’s why it is of great importance to try to create design systems that have minimum chance of any errors. For example, when creating any type of form (sign up, get quote, download, etc.…) make sure that the required fields are properly marked and there is a help text present underneath the fields. By doing it so, the users will feel capable of fixing the errors right away and this is a good way to achieve error prevention. 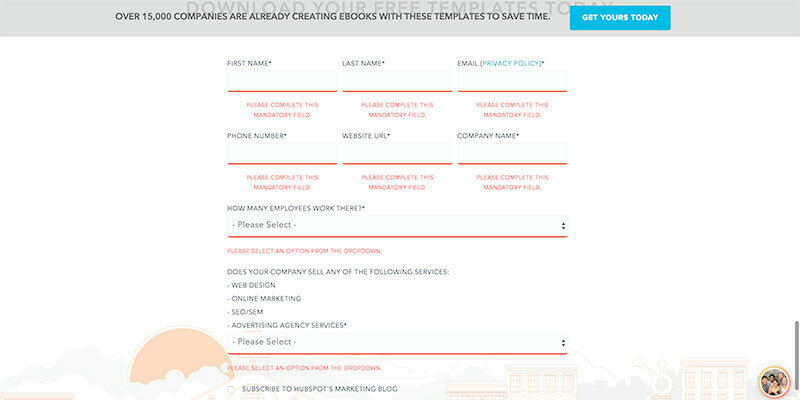 HubSpot rely on generating leads by offering different free templates where users are supposed to fill in a form. The forms they use are asking for a lot of information. The are using the principle of error prevention and offer feedback for the users in case they miss to fill in a field. The forms are designed well and easy to understand. Unfortunately, the Internet is abundant with fake promises and user data abuse cases. To gain the trust of your visitors you have to appear trustworthy. For example, if you accept online payments, ensure the users their data is protected by adding SSL certificate. Whatever forms you are using to get contact data from the users, make sure to let them know that you are not going to send spam messages or share their contact details to third-parties. A good practice also is to be honest with your visitors if you are offering a free trial of some sort. To get users’ payment details when you are offering something for free is not a good practice. After the trial is over, you can start communicating with them and offer to continue using your product by choosing a paid plan. Yes, you should put some effort in pursuing them to give you their money. But if your product or service is good, you shouldn't have a problem with that. 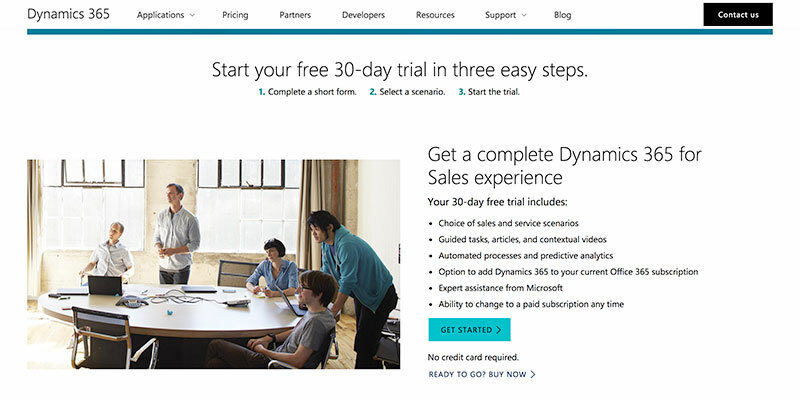 Microsoft is offering a free 30 days trial of Dynamics 365 for anyone who is interested. As you may notice, no credit card is needed. For the users, this means that if they are really free to use the product. You should consider having a dedicated section with relevant documentation or FAQ (Frequently Asked Questions). Furthermore, you can have a dedicated support form where users can quickly get in touch with your team if they are experiencing some difficulties with using your website or app. 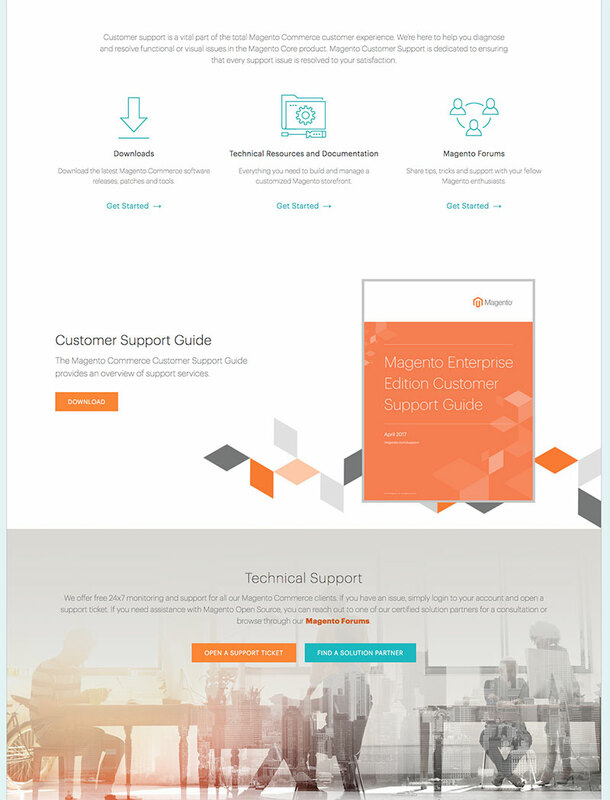 Magento have a dedicated support page where they give options for the users of how to handle an issue. They offer documentation, a forum, ebooks or an option to send a support ticket. They thought about different type of users and try to offer for all of them a way to solve a problem. One of the most important things for you as a website owner is to monitor the responses and behaviors of the users. Implementing analytics and heatmaps will give you invaluable insight how is your website performing. Don’t be afraid to test new features and offer different experiences. Good usability is achieved by testing and changing patterns. How users use your website or app is the feedback you need to make your website better. If you don’t receive enough leads or have a high bounce rate, it usually means that you aren’t meeting users’ expectations. Want to improve your website usability? Contact us to help you out!